Paul has been a Certified Financial Planner for over 25 years and associated with Weinberg Financial since 1986. 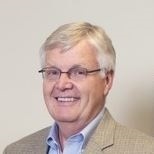 He began his career in the industry with The Travelers Insurance Co in 1980. He has previously been an officer of the local chapter of the Financial Planners Association, formally the International Association for Financial Planning, as well as numerous other community organizations. He has previously taught and presented regularly on financial planning and investment strategies. Paul and his family have been part of the Western New York fabric for generations.